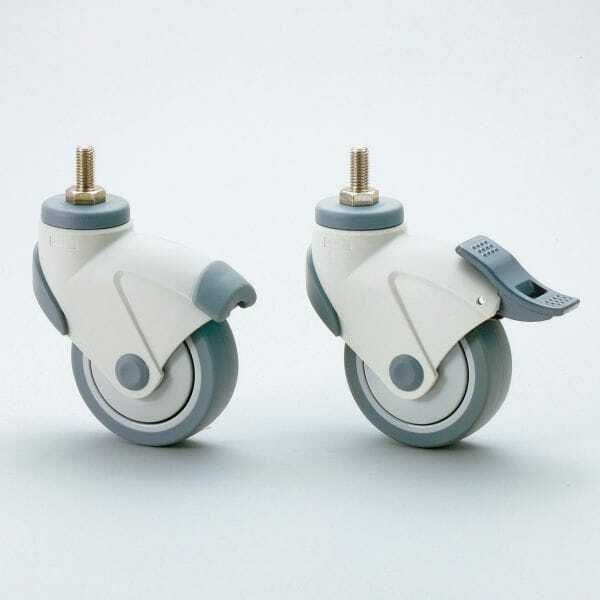 Swivel caster / threaded stud / ball bearing / with brake - EX-100N - SUGATSUNE KOGYO CO., LTD.
Materials - Tools - Components > Standard Mechanical Component > Swivel caster > SUGATSUNE KOGYO CO., LTD. Stand: SUGATSUNE KOGYO CO., LTD.
EX-100N SUGATSUNE KOGYO CO., LTD. 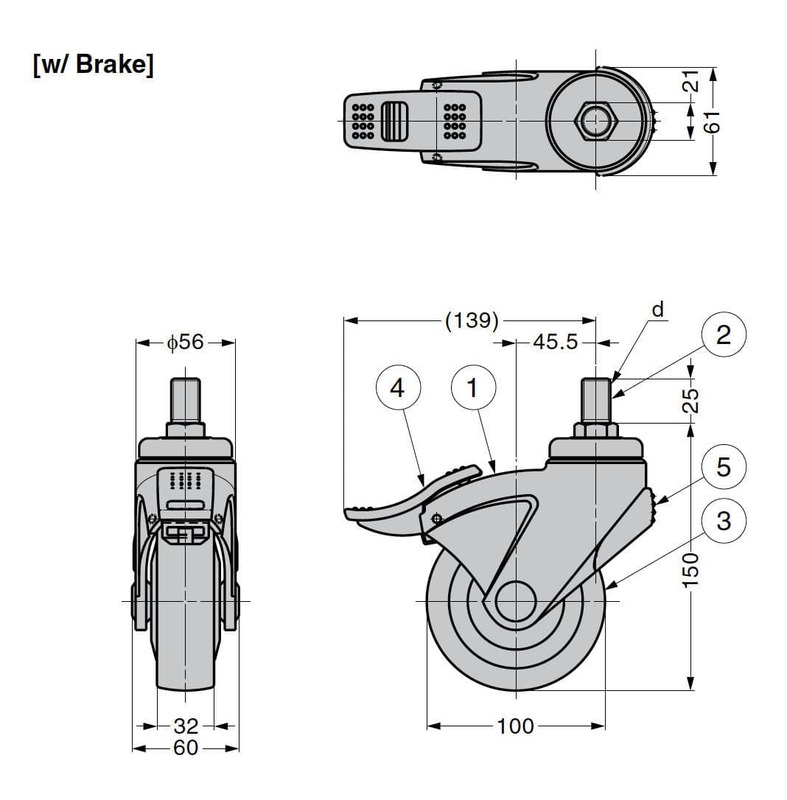 Brake indicator for easy recognition. 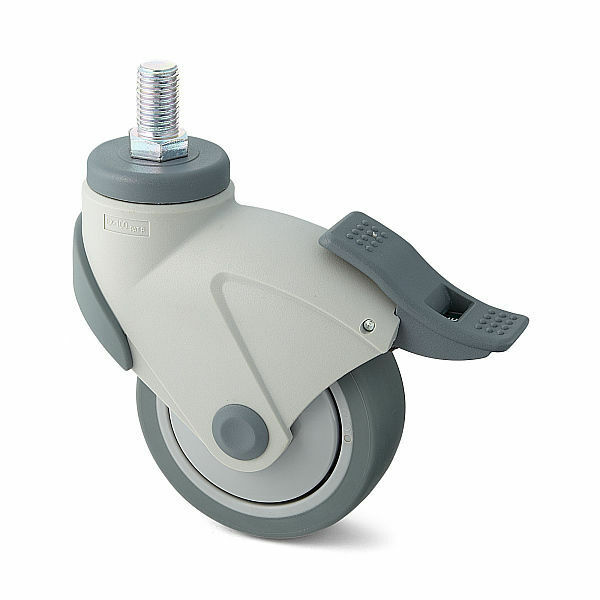 Locks both wheel and swivel. Large brake lever for easy operation. 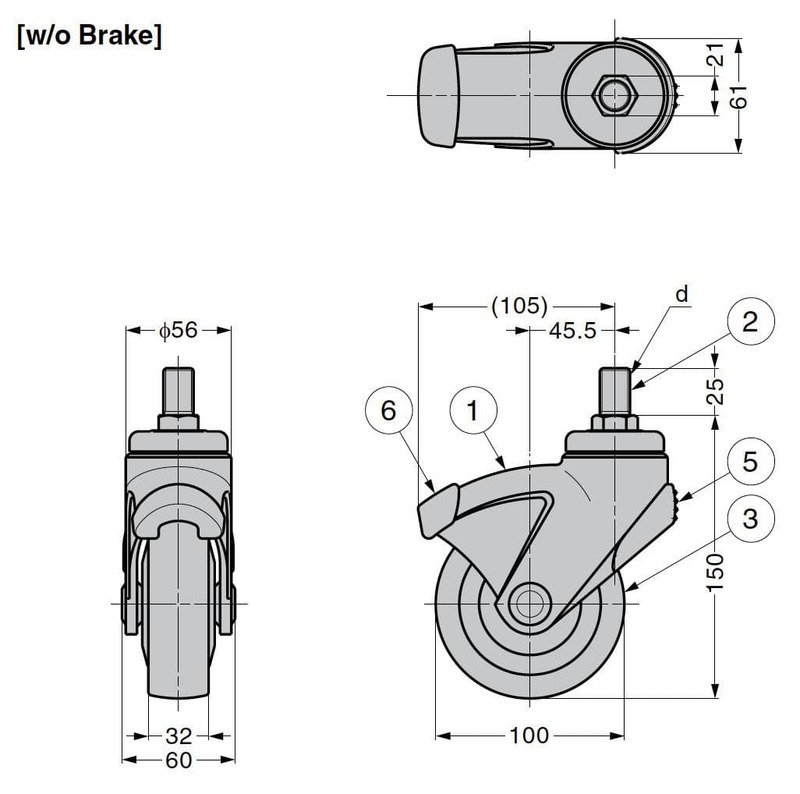 Since the brake lever protrudes the wheel, operation is unaffected even if the installation position of the caster is slightly inward from the edge of upper cabinet. 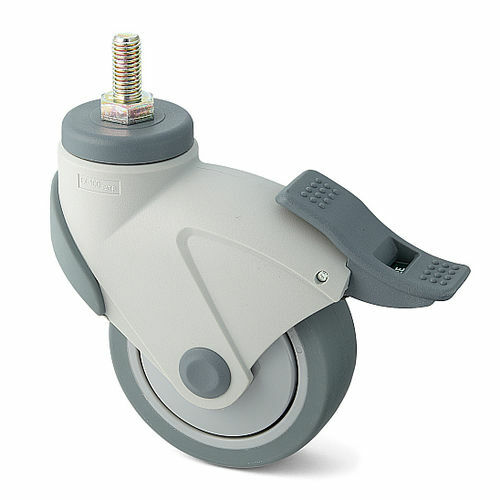 Ball bearing equipped in both swivel and wheel to provide smooth movement. Rear bumper protects from impacts. W/o brake type has also front rubber bumper to protect foot.